The day after Christmas Day is Boxing Day in New Zealand, which happens to be on December 26th every year. People relax and spend time with family and friends. Some people take the time between Christmas and New Year as a vacation time off and a time to travel. This day is national holiday with government and most businesses closed. 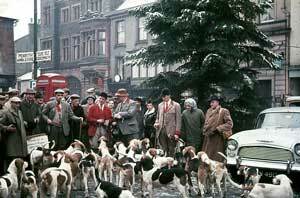 Boxing day was founded along several lines of thought. One is that the day after Christmas was a day that lords would give leftover tools and clothing to the peasants in a box - thus Boxing Day. Others believe is has to do with the church box where donations where made and the church would distribute the contents to the poor on boxing day. Provides calendars for the calendar year for New Zealand. Provides the dates for holidays for the calendar year for New Zealand.